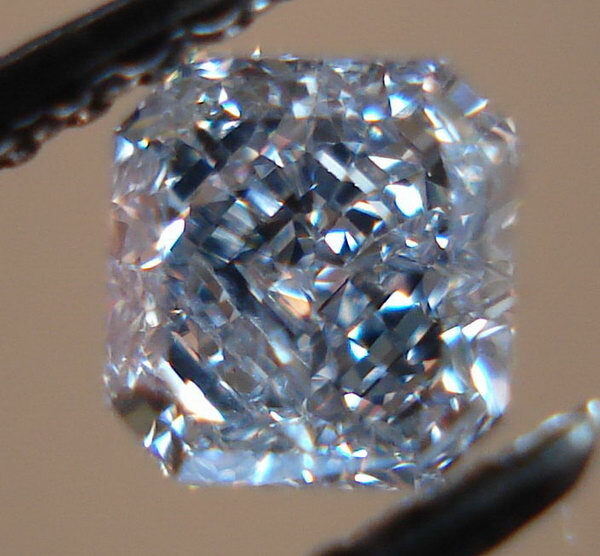 Original GIA report, as well as our company's comprehensive appraisal included. 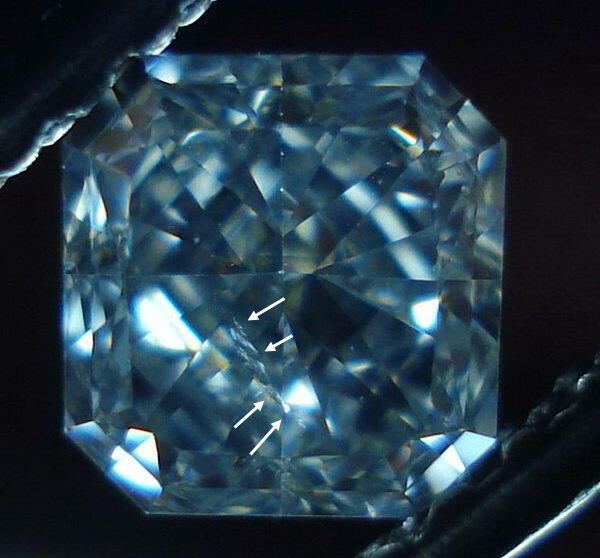 Natural Blue diamonds are so very rare. This one is special, and that's easy to see. 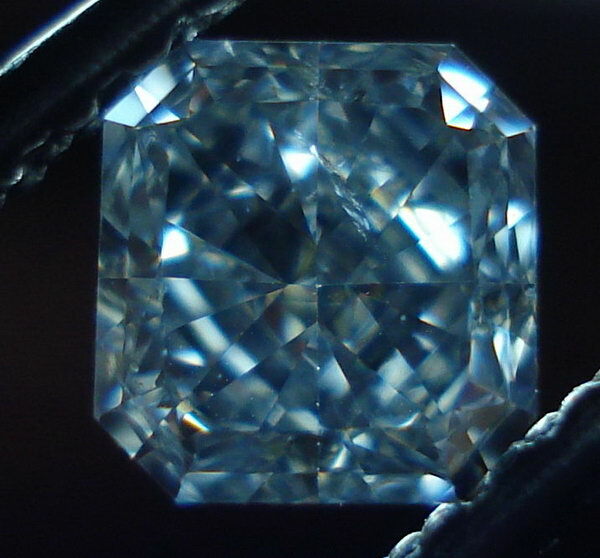 The color is classified as "Fancy Grayish Blue". Blue is what you see. 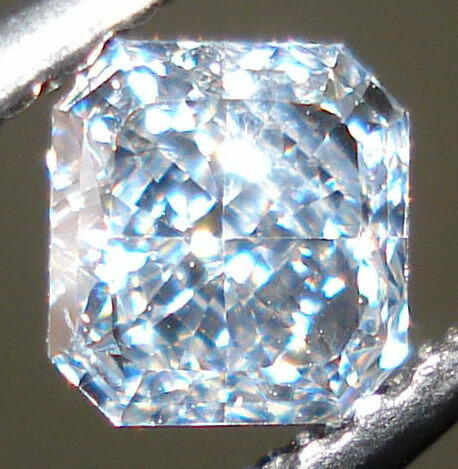 If GIA had graded the diamond "Fancy Blue" without- the grayish modifier- it would cost about double. The GIA report is for color only. 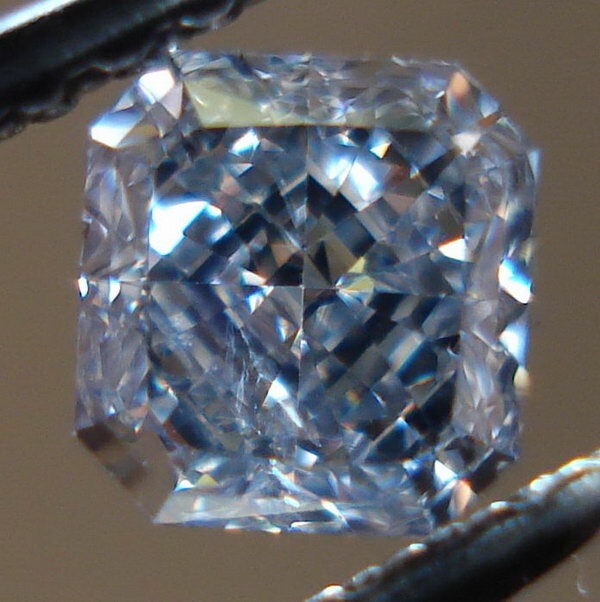 I have graded the diamond I1- although it's possible it might have gotten an SI2 if there was clarity on the GIA. You can see the imperfection in some of these photos- I've highlighted it above. 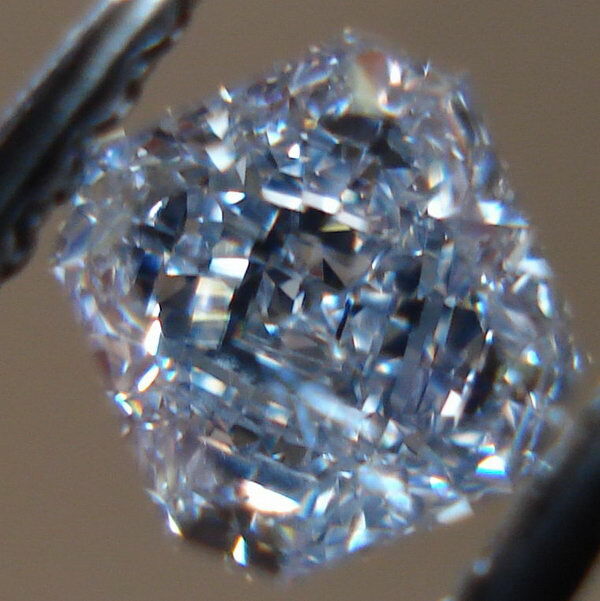 It's a small feather deep within the diamond. I'm being strict- as I believe is my responsibility. I'd rather an appraiser calls it SI2 and makes me wrong that way, than the other way around. 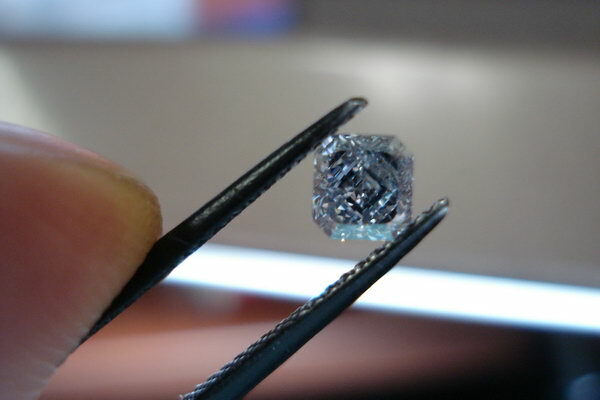 The diamond is beautifully cut. it must be a tremendous amount of pressure on the cutter with such value colors. The stone has great life in all a variety of lighting- particularly so in dim lighting- which I can not capture with the camera. 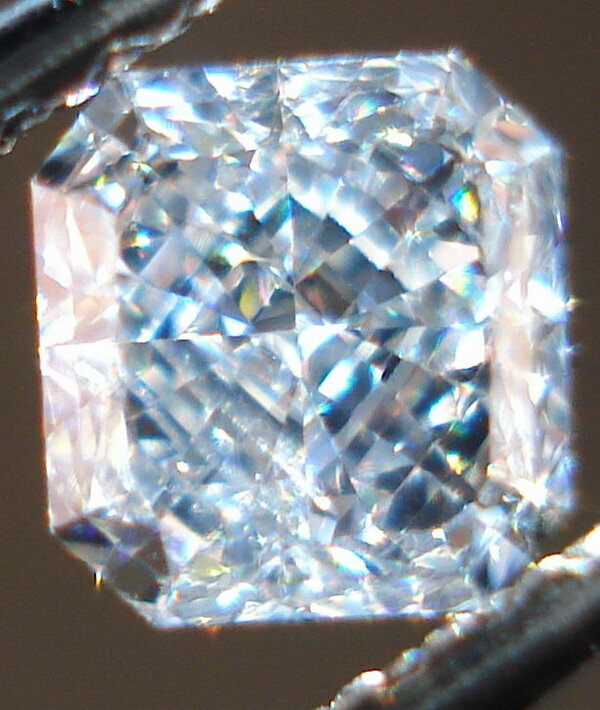 The diamond is offered loose. 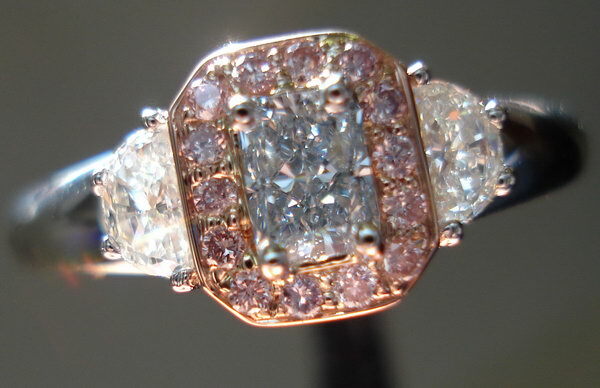 Below is a ring we made featuring a .29ct radiant center diamond of exactly the same GIA color grade. 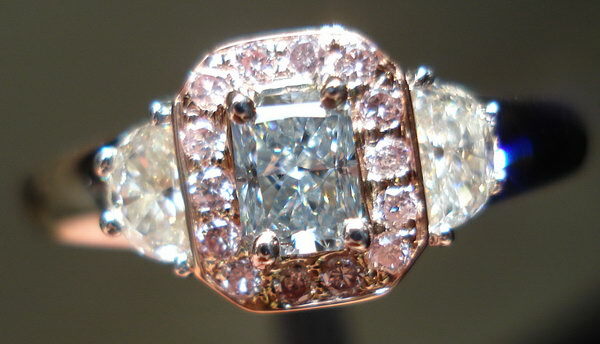 Please feel free to consider us your own personal jeweler to design a ring for this stone.